Description Acted for Băneasa Developments for selected target retail brands and co-ordinated pan-European leasing agents. Secured first HUMANIC store in Romania for Băneasa (with CBRE Austria). 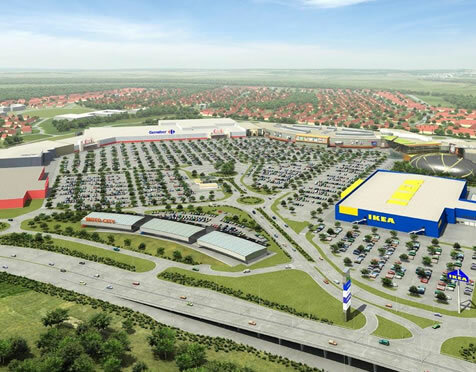 The investment in the project exceeds EUR 1.8 billion and will cover over 221 hectares of land, with a total investment in Băneasa Shopping City of Euros 150 million. The Chapman Taylor designed “Fashion Mall” extension (phase 2) opened in April 2008.